Japanese swords, also called katana, are one representative of Japanese traditional culture. Unlike the European sword, it has distinctive appearance with the curved, single-edged blade. Japanese swords are not only highly sharp but also very flexible with its unique structure design to protect them from breaking easily. Handle part where samurai grasps the sword. Some famous swords have gorgeous design of tsuka to make them different from others. Piece of metal encircling the base of the blade of a Japanese sword. It is both to lock the tsuba in place and to maintain the blade in the saya. Round guard parts at the end of tsuka. They mainly contribute to the balance of sword and protection of users’ hands. Visual effect created on the blade by the hardening process. 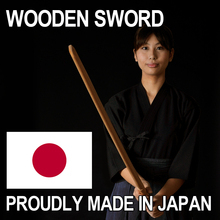 It is the important characteristic of Japanese sword to identify its authenticity. Blade of Japanese swords, always has unique hamon forged by craftsman. The sheath of a sword, normally manufactured from very lightweight wood, with a coat of lacquer on the exterior. Opposite side of sword blade. In the end of mune, there is the mark of Japanese bladesmith. Edge: Most katana are single-edged in contrast to their double-edged European counterparts. A single-edged katana put the centrifugal force to use for fiercer slashes, while trading off the ability for quick attacks without reversing sides. Curve: Katana is uniquely curved because of its preference for strong chops. European swords are often specialised for stabs through gaps of armours. Durability: European swords are usually made from heavy materials and therefore more durable. The origin of this feature is suggested to be the common violent group battles in the history of Europe. 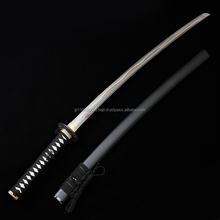 From the middle ages through the modern era, katana of all sizes carried on their significance in the Japanese society. Only warriors for the ruling elite (samurai) were allowed to wear the regular katana longer than 60 cm. But the shorter wakizashi and tantou was worn by merchants, civilians, as well as samurai as backup weapons. As a Kyoto based company, we believe it is our duty to preserve the integrity traditional Japanese craftsmanship. With a shinai studio in Kyoto and a manufacturing plant in Iwate, northern Japan, Tozando is dedicated to the protection and transmission of traditional craftsmanship. 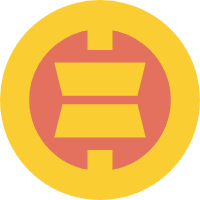 Tozando's mission is to help all people gain access to budo equipment made in accordance with the highest manufacturing standards and Japanese traditions. Ms. Stefania Gaitanidou of TOZANDO CO., LTD.